Outside the Box: The Witches are Coming! Tuesday again folks and that means the Color Challenge at the Outlawz! This week's colours were chosen by Penny and what other twist could there possibly be this week! 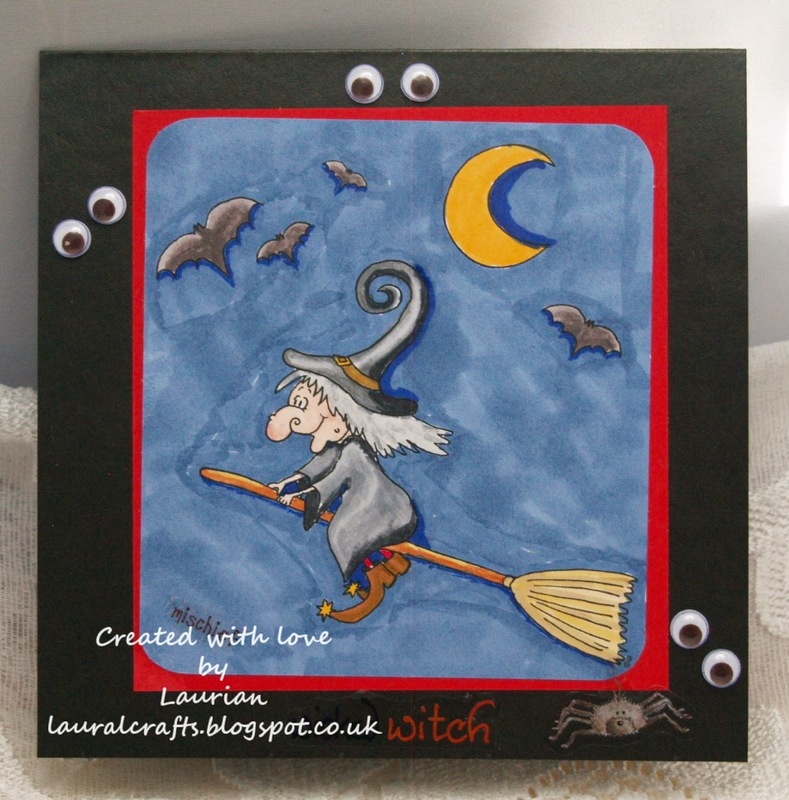 I'm sure you will all have lot's of Halloween cards on the go so why not pop over and join us this week! For my card I have used a cute image from Gerda Steiner, she has some of the cutest digis you really must check them out! Now isn't that just the cutest witchy scene you've seen! I coloured it with Promarkers and layered it onto some orange card that looks red (I thought I'd put it on red and went to change it but it was orange! ), then mounted it onto a black card I added some googly eyes and a spider or two! So let's see all your gorgeous creations we're waiting to drool over them! Thanks for stopping by and I hope we see you again soon!